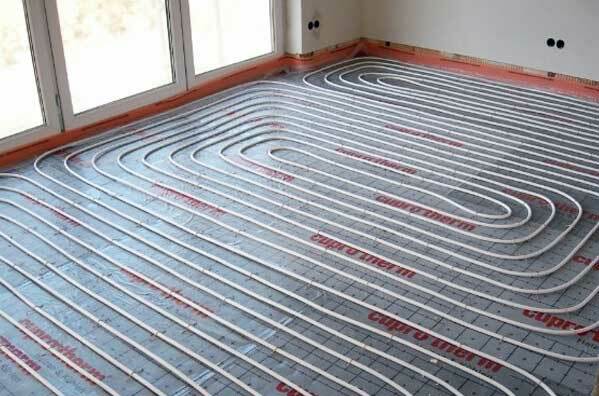 Full central heating installations undertaken, including wet underfloor heating systems. From ‘add ons’ to complete new systems with the very latest controls and energy efficient laying on under floor circuits. For the latest in heating controls and lifestyle heating gadgets, we can help. All major brands fitted Danfoss, Honeywell, Worcester Bosch comfort controls etc. What is Central Heating Maintenance and why is it so important? 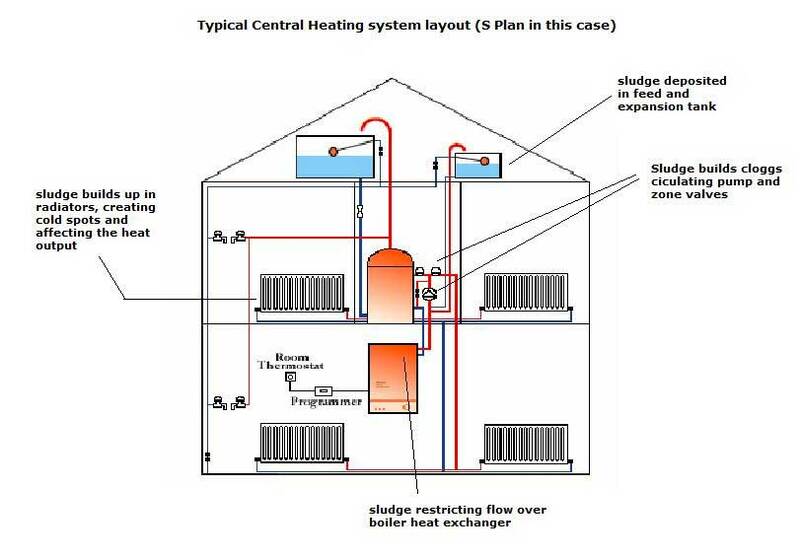 In central heating circuits, ‘Electrolytic action and oxidization’ is responsible for generating ‘system sludge’ (Please see the diagram below of a ‘typical central heating common in many, many homes).